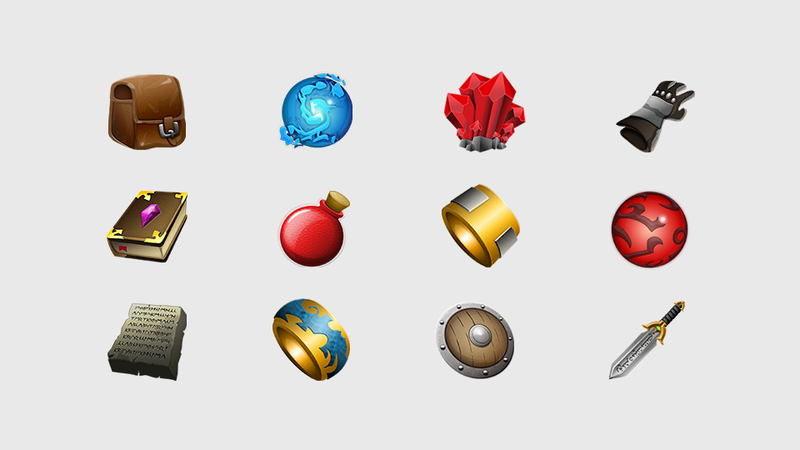 12 detailed RPG icons fully resizable and editable vector smart objects. This UI Kit include a single user licence for personal, educational, commercial and non-profit use of the kit, in any of your project or client project. You may NOT distribute these resources to another party and you may not modify any or all of the resources for distribution (either for free or monetary gain).